A math lab increases mathematical proficiency of students in the 3rd and 4th grade. This lab was supplied with U.S. 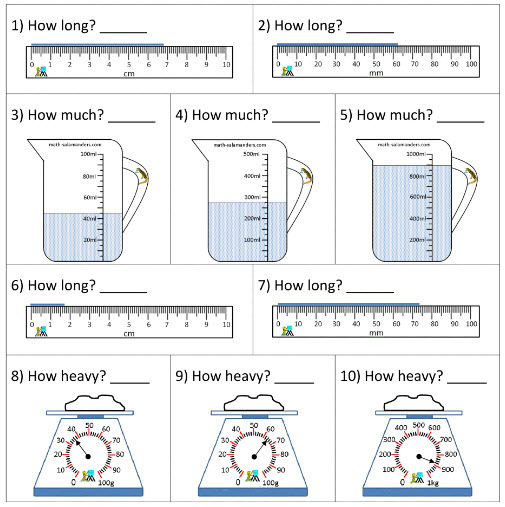 Customary and Metric measuring materials and made learning measurement interactive for students, focusing on liner, volume and capacity measurements. 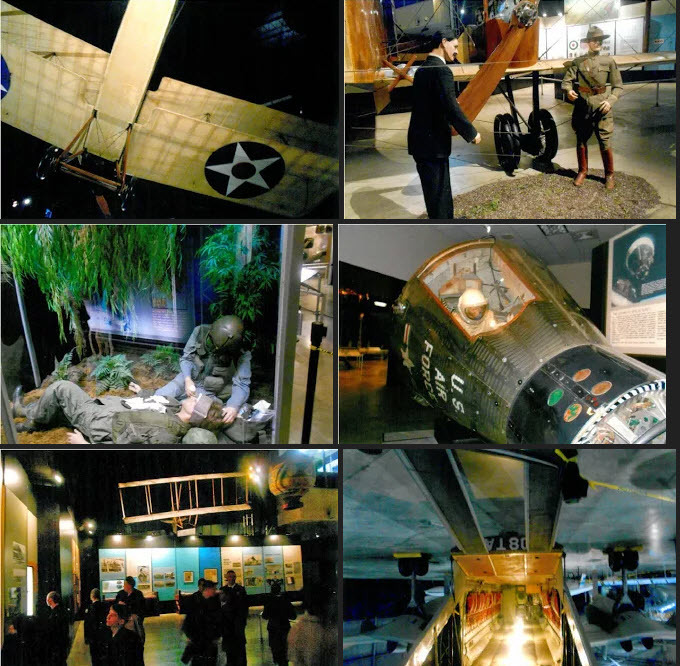 Students visited Wright Patterson Air Force Museum to familiarize themselves with aviation, part of the NJROTC curriculum. The trip allowed students an opportunity to demonstrate leadership principals as they were placed in charge of student groups for tours of the facility. 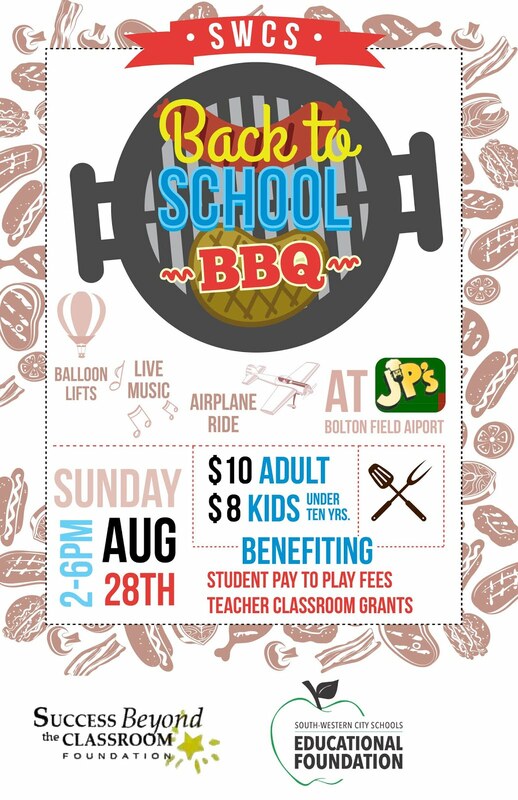 Two South-Western City School District support organizations are joining forces for a Back to School BBQ fundraiser. 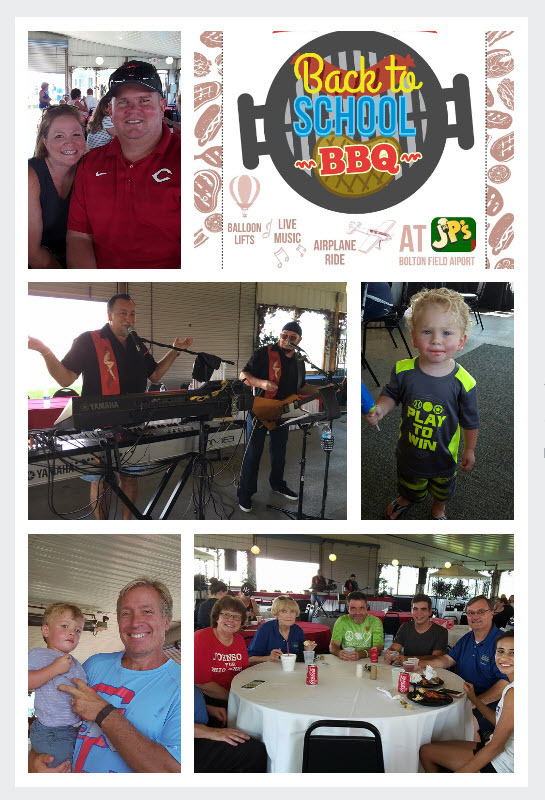 The event is scheduled from 2 to 6 p.m. Sunday, Aug. 28, at JP's Barbeque Ribs and Chicken at Bolton Field, 2000 Norton Road. "It's a way to celebrate students in the South-Western district as the school year begins and bring the South-Western community together," said Ed Palmer, president of Success Beyond the Classroom. "These are two great organizations that do so much to benefit students in our community," said Larry Titus, a trustee on the South-Western City Schools Educational Foundation board. 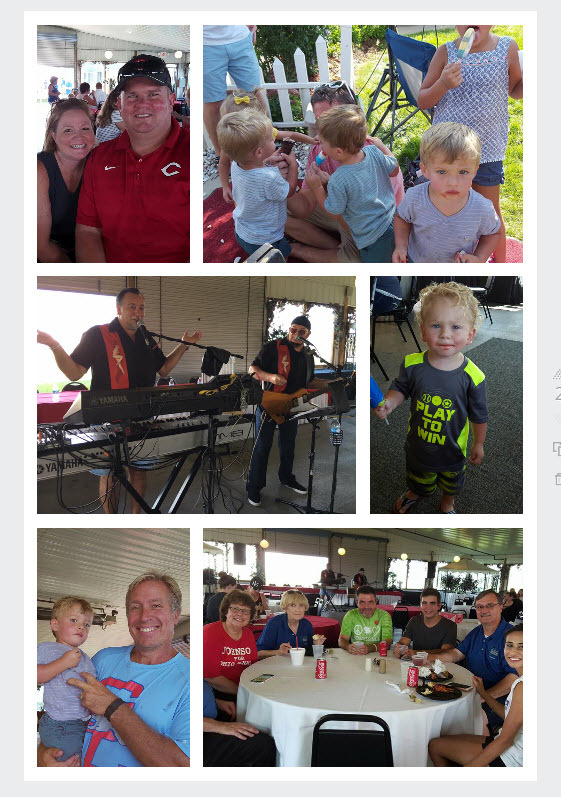 Titus, who organized the barbecue event with Mary Mulvany, a Success Beyond the Classroom board member, said the organizations were looking for way to help kick off the new school year and raise money. More than 300 tickets had been sold for the Aug. 28 event, he said. "It shows the great support both groups receive from the community," Titus said. Tickets cost $10 for adults and $8 for children under 10 years old. 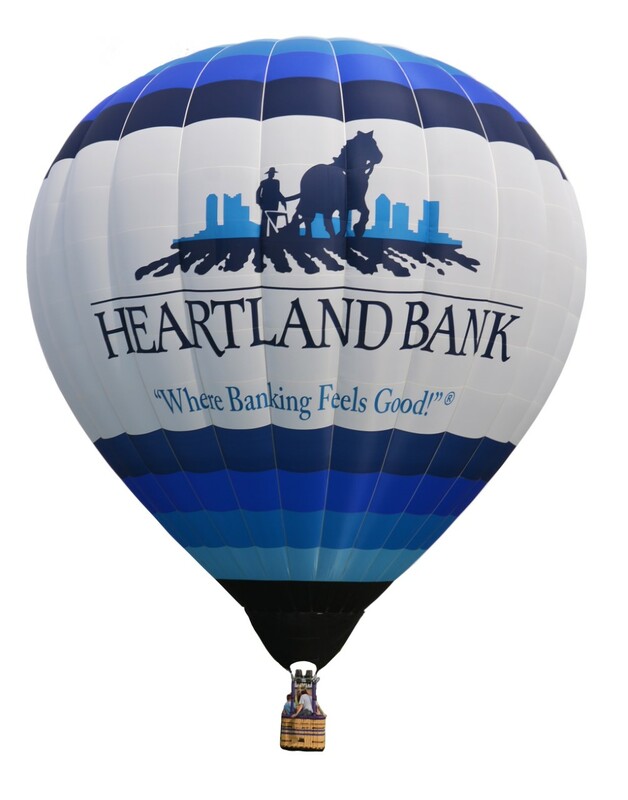 Heartland Bank will offer rides in its balloon and live music is planned, Titus said. Airplanes rides also will be available at Bolton Field, with a portion of the proceeds contributed to the two organizations, he said. The education foundation provides grants each fall to support innovative programs and scholarships each spring to graduating seniors. It has awarded more than $1.1 million in scholarships and grants since 1988, Titus said. "We look for educational projects or initiatives that will benefit the most students," he said. "So we like to support programs that aren't just involving one teacher in one classroom, but students across a grade level at a school." Projects that can be expanded throughout the district also are given special consideration, Titus said. Teachers can submit grant applications through Sept. 7 for the 2016-17 school year, he said. 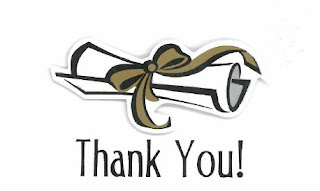 Success Beyond the Classroom is a nonprofit organization formed in 2010 after the district initiated pay-to-participate fees for high school bands and middle school and high school athletics for the 2009-10 school year. The extracurricular programs had been cut after levy failures, but were reinstated with the fees after a successful ballot measure. Actor and director Tyler Perry made a $100,000 donation in 2013, much of which was designated for Success Beyond the Classroom, after he watched a "Real Sports with Bryant Gumbel" report on HBO about South-Western's pay-to-participate fees. 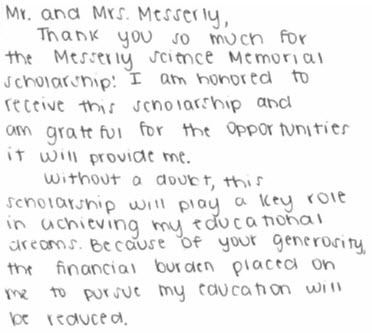 "He stipulated that every student the following school year receive a scholarship," Palmer said. "The money we got from Tyler Perry is all gone, so we have to continue to replenish our coffers." Describing athletics or band participation as being "extracurricular" activities is a misnomer, he said. "They are an important part of a student's experience at school,' Palmer said. "The lessons students learn playing a sport or being in band can impact the rest of their lives." Extracurricular activities could, and should, be thought of as co-curricular, he said. The scholarships cover a portion of the participation fees. A student's family must pay the remainder. South-Western charges a participation fee of $75 per sport for middle school athletics and cheerleading and Success Beyond the Classroom provides $50 scholarships. The organization pays $75 of the $100 fee for high school marching band for students who qualify for scholarships, and it pays $100 of the $150 fee for each high school sport and cheerleading. The district has a family cap of $500 per school year. Palmer said since 2010, including this fall's sports, the organization has received 4,700 applications for scholarships and has funded 2,700 of them for a total of $ 205,395. "It tears your heart to read some of the applications we receive," Palmer said. "A lot of families can't afford to pay the participation fees without our support." 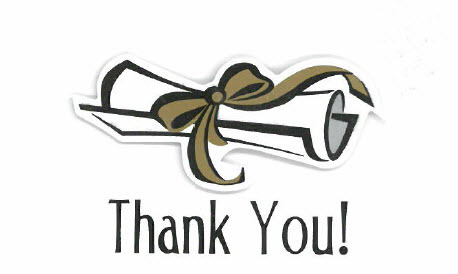 As of Feb. 1, the education foundation has awarded 2,456 scholarships for a total of $183,820. Support the SWCSEF when you shop for Back to School! Support us when you shop for back-to-school items. #StartWithaSmile at http://smile.amazon.com/ch/31-1216019 and Amazon donates. MSG Shawn Thomas Hannon, Esq. was killed in action in Afghanistan on April 4th, 2012. He was 44 years old and leaves behind a widow, Jamie, and almost five year old son, Evan. 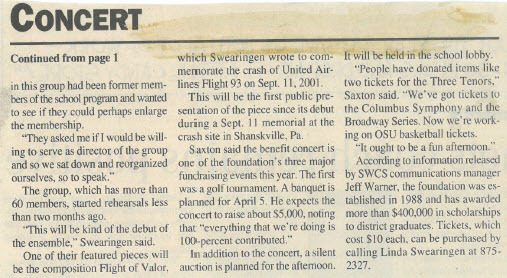 Shawn was a big part of the legal community in Columbus and was proud to be a longtime member of the United States Army. He also was a big part of the local soccer community and a huge fan of the Columbus Crew. Shawn loved all members of his family and was overjoyed to be a father. 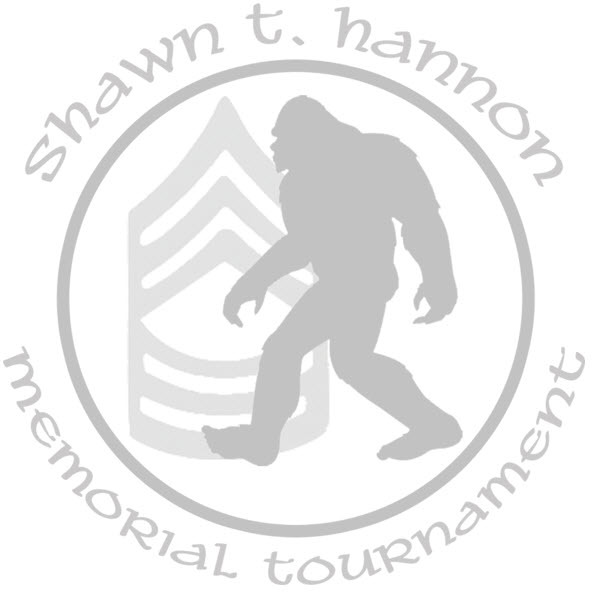 Please join us in celebrating Shawn’s life at the fifth annual MSG Shawn T. Hannon Memorial Golf Tournament held at Foxfire Golf Club on Friday, August 26, 2016 at 1 pm. 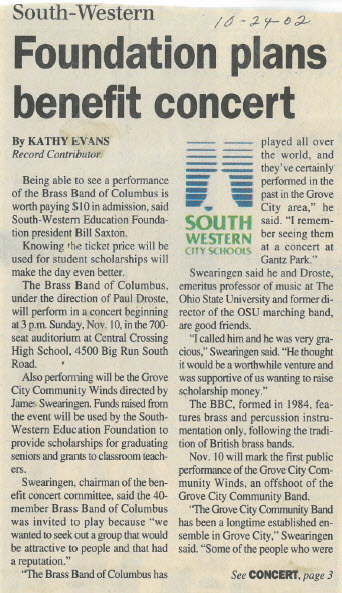 All proceeds go to the South-Western City Schools Education Foundation (SWCSEF) for scholarships in Shawn’s name to deserving students. Visit http://www.sthbmf.com/golf-info.html to register or become a hole sponsor! Life science taught to elementary school students through an initial inquiry question: How can we attract a variety of birds to our school site? An inquiry guide, Bird Sleuth developed by The Cornell Lab of Ornithology gave students the support they needed to design, implement, and share their own investigations. Suggested inquiry questions included: Will birds eat more from feeders near trees? Will there be fewer birds at a feeder next to a fake cat? What time of day do American Robins prefer to feed their young? 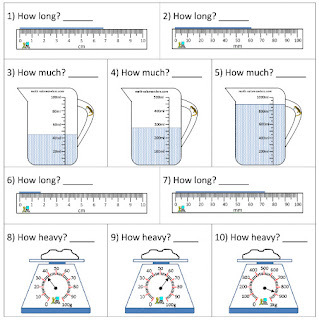 Does temperature affect the number of birds that visit the feeder? Funds were used to purchase equipment needed to carry out student research. Findings were shared with the local community through the school newsletter, group presentations and with the broader scientific community through Cornell's Citizen Science Program. State standards of life science and inquiry, and literacy standards through reading of non-fiction text and writing were met. Math is also addressed through data collection and graphing results. 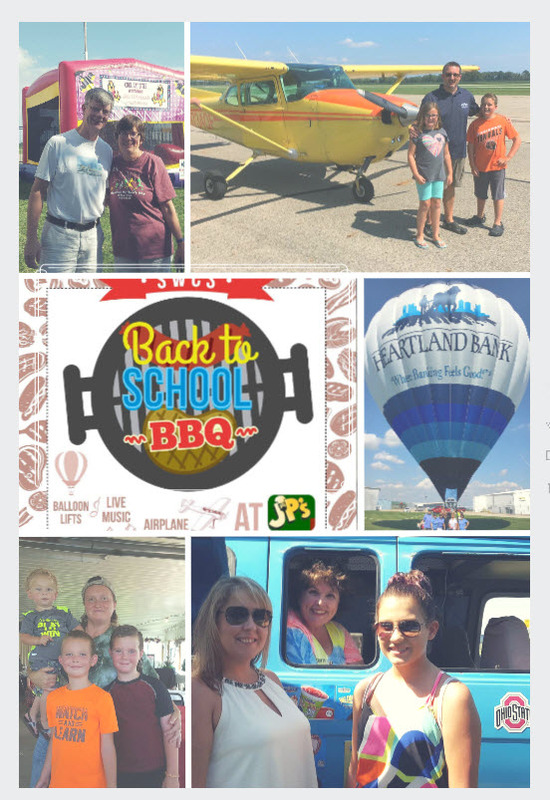 Back to School BBQ - August 28th! 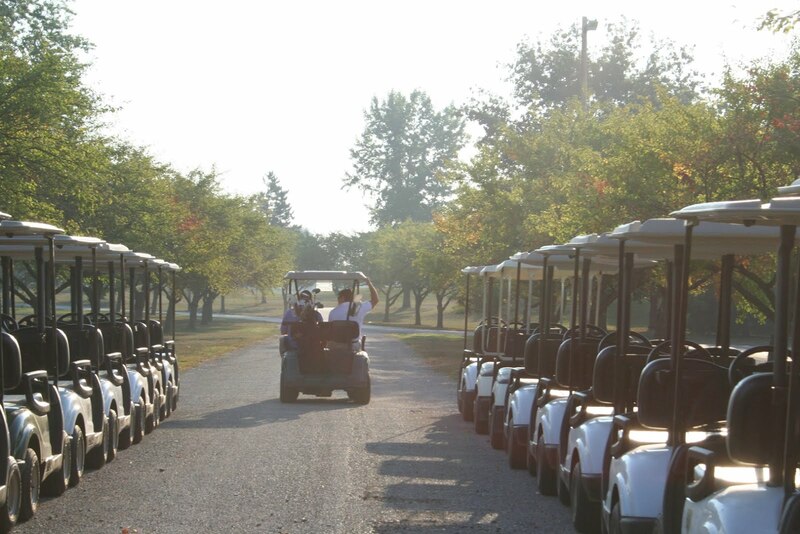 A fun filled event for the entire family benefiting Pay to Play Fees and Teacher Classroom Grants. Contact Larry Titus (614) 871-4144 for pre-sale tickets! 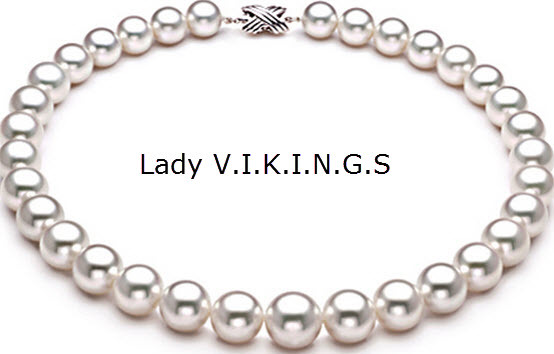 Support Us When Shopping Amazon!